The Trans-Pacific Partnership, TPP—now in secret negotiations—is nothing less than Globalization on Steroids. And this means the devastation of America’s middle class leaving NO decent jobs for you and your kids in its wake. Disguised as a ‘free trade’ agreement between the US and eleven countries stretching from Vietnam to Peru—TPP will make Jewish Wall Street and the corporations they control, masters of the world. If TPP is signed by Obama—and he’s just itching to rush it through Congress via “Fast Track”—the dictates of Jewish Finance Capital will supersede local, state, and national law. [Clip: “TPP — the Trans-Pacific Partnership. It’s a trade agreement the United States is negotiating with Australia, Canada, Japan and eight other countries in the Pacific region. “If you don’t know about the TPP, and few do, it’s because the powerful people behind it — including President Obama — don’t want you to know. And Wall Street just got one of their tribe to push their scam, a protege of Robert Rubin of Citigroup, Michael Froman, recently tabbed as ‘our’ US Trade Rep.
Only the “leaders” of the negotiations know the “substance” of the Agreement. Why won’t Froman tell us what’s in TPP? Because he works for Jewish Wall Street NOT for US trade, that’s why. And the BS keeps on piling higher. [Clip: “What about this idea that what the US does on its sensitive sectors like dairy, sugar, textiles, footwear, is going to dictate the overall ambition of the agreement. Really? When it comes to Jews clamoring for war and sanctions against Syria and Iran it’s an “all or nothing” approach. But when it comes to negotiating away our jobs, suddenly Froman says the US “doesn’t have the luxury” to take an “all or nothing” approach. A leaked text reveals that TPP grants ‘investor privileges’ that helps corporations move US jobs to low-wage countries. That’s why TPP includes Vietnam, a new ‘fave’ of Jewish Wall Street, since wages there undercut China. TPP removes the US tariff on Viet-manufactured shoe imports. Such a deal for Nike and communist Vietnam! International Jewry even gets a “court” of its own in each country due to TPP’s “Investor-State Dispute Settlement” provision. If regulations hamper investors’ profits, they can sue the country for damages. TPP’s extra-judicial court will have three private-sector lawyers flip-flopping between being judge and corporate advocate. Some call this a “Kangaroo Court” but I call it a “Talmudic Tribunal” where the plaintiffs and judges belong to the same synagogue. The union of Church and State has come and gone…but the union of Synagogue and World is at the very doors. Whenever you hear “free trade” then you know that the JEWS are giving the American worker the shaft. Jews have NO loyalty to their host nations and couldn’t care less if the “goys” lose their jobs, their homes, and their dignity. “Jewish Wall Street”…which underwrites the multi-nationals…DICTATES policy to the corporations under their control and SEND our manufacturing jobs and all the attendant white collar jobs OVERSEAS. Now “COMMUNIST” Vietnam is under the Jews’ control…JUST LIKE “COMMUNIST” Russia was during the long Jewish captivity beginning with the Bolshevik Revolution until the dismantling of the Soviet system in 1991. Because JEWS control the MONEY and GLOBAL TRADE then THEY RULE over ANY form of government. Their latest SCAM: The “Trans-Pacific Partnership” brings the Union of ‘SYNAGOGUE AND WORLD’ at the very doors. I need $20,000 to produce a VIDEO Documentary. Please consider funding this. It’s long past time for the Goyim to stand up and take action instead of crying and whining. The first step is to be educated about the situation. Brother Nathanael has provided that. Support him. Next is to get motivated and formulate an action plan, instead of just praying about it. Prayer is good, but sitting around doing nothing is not the answer. Did David stand up and defeat Goliath or did he hide and pray that God would take care of everything? Did Moses stand up to Pharaoh or did he run away and just pray that God would take care of it? The Bible and history are filled with examples of planning, working together and ACTION. But today’s Christians say, “I’ll take it to Jesus in prayer” — and that’s all. Remember Edgar C. Whisenant, (88 Reasons Why the Rapture will be in 1988)? Or Elizabeth Clare Prophet, who predicted a final nuclear war starting April 1990? In 1814 Joanna Southcott claimed she was the woman in Revelations and would give birth to the second Jesus. ACTION is effective. After 17,000 emails, 10,000 text messages and hundreds of letters, the University of California fired “officer” John Pike who doused a group of sitting, passive students with pepper spray in their faces. UC Police Chief Annette Spicuzza was suspended and took early retirement The University formally apologized as part of a settlement with students. The University planned to keep Pike and Spicuzza until the public, including Anonymous, took action. Stop surrendering to evil. Evil prevails when you do nothing! Get up off your knees and take some action. You can prevail. You can defeat evil. Please read my home made story about a black English boy who discovers Monarchy and God. He only wants to be with his parents but it’s not an easy task. This book makes fun of political correctness and keeps a good sense of humour altogether. It is totally a parody of cultural marxist themes. Everybody on this site should enjoy it I hope. Please download it and read it and share it with your friends, as many friends as possible. It’s not only gossip we also need to rebuild our culture. We can rebuild our culture by writing! Good luck! Thank you very much! Believe in God. Believe in Jesus. 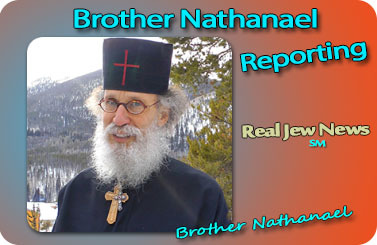 Brother Nathanael runs a website here that can reveal much about the world. It is thanks to God that we can learn. Thank God for Brother Nathanael. God with us! Spit in the face of evil. And with that statement, I rest my case, your honor. First I heard of it was the Desert Storm War as we swept in to overwhelm Hussein’s forces. Then I discovered it’s an old Jewish term called “shek and —– (I forgot). It means the same — overwhelm with crisis after crisis. Do not let the enemy recover. Craig’s List is a world-wide Judeo-Masonic-Communist Sayanim Spy Operation. Seek Decentralized-Local Alternatives or simply CREATE ONE YOURSELF! Why do the Jews always take over the commercial port areas? Why is the West Coast so Jewish? I notice they don’t like the South or Mountain West too much- just East Coast and West Coast. That’s why all the mind control out of Hollywood aces every film in Ny or California. Michael Hoffman explained in his book how they always attack the economic spheres and it seems like guys like you and him in the Western US prefer inland Mountain regions (Idaho and Colorado). Contraband and smuggling. Why do you think Chicago and Odessa are jew mafia HQ? Shock and Awe, move in with superior force and kill anything that moves. I’m reading The Jewish Paradox, by Nahum Goldmann. I could give you a long list of arguments, but will make it short — worth reading it. I can’t find the book online in full text in English. He was one of the top player Jews, if not the one. I’ll get back on this. Trust me, just read it. I see this trade agreement as an attempt to find a place for dollar denominated trade. The countries involved will export manufactured goods to the United States in return for paper that came out of the Federal Reserves printing press. This paper can be used to buy oil were the US war machine is in control. By creating growth in these markets the Jews are trying to prolong the life of the dollar as the worlds reserve currency. A large market share of the dollar has been lost due to the fact that countries like China, are shelving the dollar and using their own currencies and gold to settle their trade. The United States will suffer terribly when they have to trade goods for their imports instead of paper. Because the ability to manufacture goods has been lost and will take time to rebuild. We are in the end game as far as the dollar being the world’s reserve currency. How long will TPP stretch the dollar is the question. All part of JEW WORLD ORDER COMMUNIST DICTATORSHIP. The Synagogue of Satan and Communism. We are all going to be JEW SLAVES. NO not “Zionist,” but JEW WORLD ORDER, COMMUNIST DICTATORSHIP. Supremacism is a sign of ridiculousness and IQ deficit. It comes from a closeted immature outlook on life. It’s only as one lives a bit that one realizes that everyone has a story, that everyone has merit but in different ways, and that anyone who thinks they know it all is the actually deepest of fools. Supremacism is like permanent “freshman syndrome” — a state of know-it-all-ness; whereas the most advanced learner knows they know the tiniest speck of knowledge and are humbled by this. Both the Talmud and the Koran are supremacist texts; this is the fundamental problem for both ideologies. We should turn around their terms of derision and put them right back in their faces. Confucius and his students were traveling when they came upon the funeral procession of a young man. “What happened?” he asked. “He was killed by a tiger,” cried the mourners. “That’s terrible!” Confucius said, “Are there many tigers hereabouts?” “Yes, there are!” they replied, and began telling about all the attacks. It seemed everyone knew someone who’d been killed by a tiger. Confucius asked, “If the tigers here are so bad, then why do you stay?” “Because the laws are good,” the victim’s widow answered. Many’s the time I tried to correct the definition of a “natural born Citizen” with references galore on Wikipedia. Now I find out it was their Sayanim retards deleting each elaborately studied entry. By the way, a “natural born Citizen” is a person born in-country of Citizen parents. But if you read Wikipedia all you’ll learn is Sayanim horse-manure. I hope some YankeeGoys just take all the non-poli stuff from Wikipedia, re-word it and and make a nonJew Encyclopedia of truth. If these Jews can’t compete without undermining, can’t compete on merit, can’t compete on competency, can’t compete on productivity or output … then they deserve the same treatment in return. I think it’s a sign of their knowledge of their own deficiency that they sneak-attack those who actually do produce. Thank you for the video, Brother N.
I am, and many others are, indebted to you. In reading the article on Facebook, eBay, Paypal, Wikipedia etc. there were multitudes of non-Jewish garage/dorm start-ups but the Jew-factor promoted these particular entities to the forefront; that would be “our” money. All of these “entrepreneurs” are seen has having been formatted and directed from Israel. Best ideas stolen from the Goyim, funded by stolen money of the Goyim by delusional supremacists who think they invented water. Afterall, the Hasidim wear 4 tassels to represent the “four corners of the world” (as in flat). Israel is apparently so bungling it cannot get by without thieving from American Goyim $123B in “aid” and thieving trillions by parasitizing nearly every country on earth with usury-debt-based currency (FED/IMF/WB). Pretty embarrassing actually, but then they lack any conscience. How many books can we read about Khazars/Rothschilds/Illuminati/etc? All the Rense types were talking about how the USSA would have a military coup — but that never happened. How have the Khazar Illuminists been defeated in the past? How did the Church beat them but through Jesus? How can these thing be won in the temporal sense? We know Jesus won all the victory with His blood for the Church. I’ve been trying for some days to get some kind of understanding about TPP, and I just couldn’t get my thumb firmly on what was bothering me. You condensed an enormous topic into the most important points — the (further) loss of national sovereignty to the corporatocracy; and the extra-judicial tribunals that bypasses national, and even international, courts of law for adjudication, but will go to corporate tribunals instead. The videos you found to splice in are terrific, too. Moyers is as far away from ‘patriotic conspiracy theories’ as can be. No one can accuse Moyers of being a “conspiracy theorist,” yet apart from actually naming Jews, Moyers is explicit about the secret cabal running under the cover of the Obama White House trying to jam TPP through. As for the leader of the TPP sharks, from the clip Michael Froman comes across as a real creepy Wall Street Jew, a sleazy “titan in the world of high finance,” with keys to the revolving door between government and Citibank positions. Out of the Jew’s own mouth — everything he says is with a smirk. Froman is just another Clinton/Obombya crony selling Americans down the river for his Jewish Wall Street buddies. “After the election of Bill Clinton to the presidency in November 1992, Froman immediately joined his administration, serving as director for International Economic Affairs on the newly-created National Economic Council and the National Security Council from January 1993 to December 1995. “Froman then went to work for Treasury Secretary Robert Rubin, serving as deputy assistant secretary for Eurasia and the Middle East from January to December 1996, focusing on economic policy toward Russia and Central/Eastern Europe, as well as the economic aspects of the Dayton Accords, and as Treasury chief of staff between January 1997 and July 1999. “Although Froman lost touch with Obama after Harvard, he advised Obama on policy during Obama’s 2004 Senate campaign and introduced him to Robert Rubin, eventually serving on the 12-member advisory board of the Obama campaign’s transition team. I’m so sick of the Clintons, Obombyas, and the evil, miserable Mishpacha that they are glued to. Anyway, excellent work, dear +BN, and God bless. My contribution is on the way. I was going to say the exact thing you did about the smuggling and black marketeer criminal Jews. The Odessa route goes directly to and from Riga though I guess it has minor ports of call. Chicago, a liquor smugglers’ town, was and still is a great place for Jews. It was where illegal Jews originally lived so they could make quick escapes to and from Canada. You would think there would be easier border crossings but Chicago was a big money town. What Jew would prefer to live where there is little money. Chicago is still a huge Jewtown. And yes, in case you think I’m crazy, many, many Jews were illegals. Hey, in Jew terminology you might say that 6,000,000 of them were illegals. And you’re worried about Mexicans? The people who wipe your sorry arses and clean the crap from your streets? Treaty participation is voluntary, each State in the Union, and each city etc thereof can chose to participate or not. are not to participate in these treaties and ask them to simply opt out. Each State is sovereign and not required to follow the federal government. That is why so many states opt out of things like following the NDAA, as California and other states did recently. States can Nullify (Tenth Amendment), opt in or opt out. Just as some states set up exchanges for Obamacare and others did not. States are sovereign and have a choice! Spread the word! Apparently her job is to keep the Goy aimlessly terrified and confused from her van down by the river. Yankee Goy is right: Wikipedia has *lots* of Jews on the staff. Try entering comments critical of Israel or queers…. They’ll disappear faster than snowflakes in July. I tried removing some inflammatory, and redundant, “homophobia” accusations in the Wikipedia article on Quentin Crisp. They were reverted in a matter of minutes. CJ: “We know Jesus won all the victory with His blood for the Church.” Yes, He did — but it’s been a very bloody war. There are also ‘intellectual’ White haters of the White middle class. And I notice an increased rebellion among women lately since the MTV awards through smoking cigarettes while walking on the street. But who ultimately gave the order? It had to have been the top Jew in the world. Neither Bronfman nor Lansky would have undertaken such an operation (and certainly not the Mossad) without his order or at least his approval. In 1918, while working at the Jewish division of the German Foreign Ministry [Nahum Goldmann] attempted to enlist Kaiser Wilhelm’s support for the Zionist ideal. Total destruction of the Western nations and it’s inhabitants. And woe to you who dares to protest against this genocide, because than you will be beat to death by a psycho cop or security. Infiltration corruption and destruction of the churches, promoting drugs and alcohol destroying lives, etc, etc. Wake up guys and rise up and choose a good president. It is 1 minute before 12. The White, former Christian, now largely pagan, middle class are being geopolitically replaced by pagan foreigners and the Church is being replaced by the Jewish race. It is only a matter of time, I suspect, before they can not hold their temper any longer and we will be physically exterminated. Millions of intense White-hating and Jew/satan-obedient headhunters are already in our nations. The holocaust is a lie of insane Jews, but they will as easy as telling that lie inflict on us that story and that will be no crap. Nature and his counter god Satan is overgrowing our neglected house and soon the walls will turn over us and crush us. Christians should have a Christian state. All part of the COMMUNIST JWO Military DICTATORSHIP. JWO = Jew World Order. The Trans Pacific Partnership will DESTROY AMERICA! Corporations will control our government! So for example: when it comes to fracking, they will be able to do whatever they want, including destroying the water supply! BP won’t have to payout or clean up the Gulf of Mexico; we will be forced to buy radioactive products, including food from Japan! And they won’t be labeled! This is just the tip of the iceberg! TEPCO will be allowed to walk away from any responsibilities at Fukashima, since it will effect profits! GMO’s will be forced on all these nations as well, with no recourse for any of these nations including the U.S. We legally won’t be able to stop GMO’s. This bill is probably the worst agreement ever devised! IT’S THAT EVIL AND MUST BE STOPPED! They want it passed by JAN. 1st, 2014. IT will truly be the DEATH OF AMERICA!! I believe that’s why they destroyed the Philippines with the typhoon. They rejected the TPP! If your looking for the DEFINING MOMENT IN HISTORY —THIS IS IT! It is literally the complete takeover of our world by the Big Corporations! The impact will not only effect you, but our children well into the future! If you have never spoken-up you must now! They are having a secret meeting on Nov. 19th-24th (sorry, not sure where, maybe someone can help us with that info.) There is a similar agreement in the EU, with the same MASSIVE implications! We all need to scream at the top of our lungs before this meeting happens — it’s been conducted in secret, so we don’t have much time! They want it implemented by Jan. 1st 2014 — less then 6-weeks away! Thank you, Brother Nathanael, for letting me post! Jews are such tormentors. It is right to say it is inhuman? Jews and most blacks are the worst inhuman tormentors now a days. Clearly, the Jews have no sense of history or they want utter destruction for themselves and the world. If they turn the West into a depressed second class society, which they are doing currently, via multiculturalism, outsourcing, censorship, etc, then they are paving the way for their punishment. We all know they will be judged for their crimes. However, I’m just wondering when there will be serious action against them. I encourage anybody to tell me, what they think on a time frame. I’m looking for a rational cause and effect analysis to future actions against Jews. You can only hit somebody (Us non Jews) until we hit back. With the premeditated destruction of our lives in a slow manner, eventually we will have two options: organize and fight, or perish, both Christan and Whites alike. Which one will it be? I prefer the the first one. It’s not about if this will happen, its about when. I give it 10-15 years, when nobody has jobs and non-brainwashed leftists outside of Jew controlled cities wake up and use the countless guns in America. We shall see what happens. If the Jews had any sense of history or regard for their host peoples, they would stop before their future is grim. A Jew says “ouch” while he hits someone in the face. They can only lend money to non-tribal members, called interest. Parasites need a host; Jews have proven time and again that they’re incapable of surviving without usury blood sucking. About “Gamachim;” Jews cannot lend money with interest to other Jews. They also forgive debts after 7 years. Usury between Jews is a grave violation of Talmudic Law. How do they tell who is a Jew or not since it’s not a “race”? Judaic Khazars are not genetic original Jew. If a non-Jew was turned down for a 0% loan wouldn’t that be racial/ethnic discrimination which could bring lawsuits? They can only lend money to non-tribal members at interest; but this is blatant illegal discrimination. Sayanim Ann Barnhardt always justifies usury. She says she’s a recent convert to Catholicism, yet ignores the fact that the Bible states at least 25 times that usury is a sin. Christians should insist on 0% interest banks, especially Jew-owned banks. I’ve been watching a lot and reading a lot of your articles for the past couple of months, and I have been appreciating many articles. Can you write an article certain historical points of what happened in Romania during the 30’s and 40s before the second world war? You think the Jew ruled Soviet was anti-Jews? Think again. Chapter 7 in The Jewish Paradox: Sickle, Hammer and Star of David. Without the Soviet Union the state of Sh**rael wouldn’t exist. Not so much because the Soviet Union voted for Sh**rael in UN, but because all weapon in Sh**rael was from communist countries. Then Nahum Goldmann claims that the World Jewish Congress was in contact on a daily basis with Ilja Ehrenburg. I’m on page 190 of 230 pages and the book is a must read. The Jewish Paradox by Nahum Goldmann, chapter 7: Vatican. Here Goldmann tell how he meet the pope. Ever since, the World Jewish Congress represented in Rome has no problem with the Vatican. Adrien Arcand predicted the Jewish world government in 1950.